Sprouts is really healthy to maintain good health. We usually eat them by boiling or just as it is. Have you ever thought of using them as a curry? 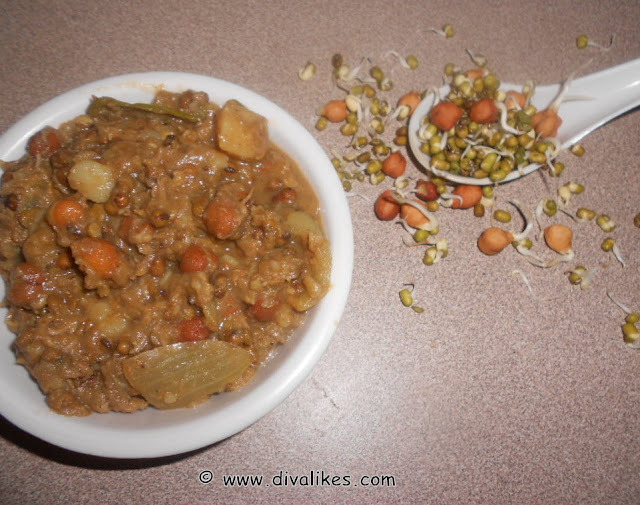 Here it is, a simple yet delicious curry for all the sprouts lovers. 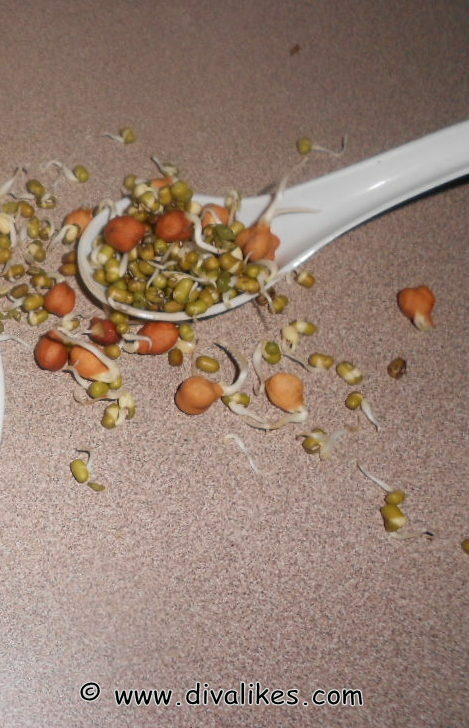 This is a boon for people who don't prefer to eat sprouts. This curry mixed with tomatoes and potato makes it yummy and makes a filling yet healthy food at any time. Try it by yourself. In a pressure cooker add dals, potato, water and salt. Cook it for 3 whistles. Add onions and fry till the color changes. Add ginger-garlic pieces and saute for 3 mins. Add tomato and saute for 2 mins. Add cooked dals with water, peeled and mashed potato and mix well. Add all spices and salt. Let it boil for 5 mins. The delicious Sprouts Curry is now ready. 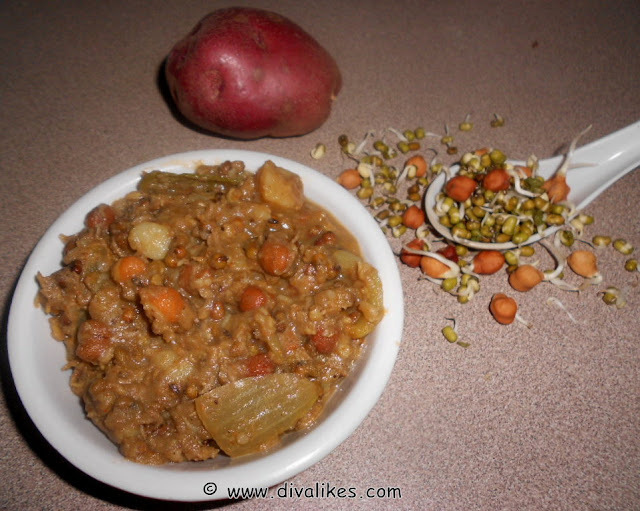 Serve with roti or rice and enjoy its delicacy. healthy curry.Yummy n best vth rotis.! !